HHVM, SSD, CDN, PHP7, Email and 45-Day Money-Back Guarantee. responsive website in no time. Web hosting shared, reseller, VPS and dedicated server plans. Faster, optimized and affordable. Ultra optimized server infrastructure for faster website speeds. Quickly upload content, create email accounts and install apps. Faster loading websites with Ultra's 3-tier caching system. Professional Web hosting services since 2002 with the gurus to assist you. 20+ awards received over the past decade for web hosting services. We will transfer most websites to our service for free. With a few clicks have a network of servers deliver your content. Available around the clock via live chat and ticket systems. Available on all shared hosting plans the first 45 days of sign up. With Ultra your website loads faster bringing up your ranking in popular search engines and the ability to run many popular web platforms quickly giving you higher visibility and credibility. 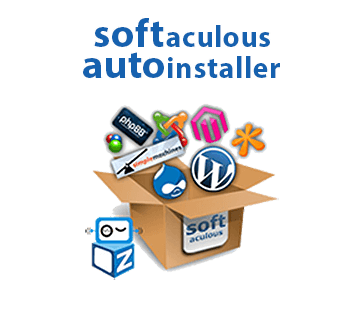 WordPress, Joomla, Magento, Cubecart, osTicket and most PHP opensource web scripts work terrifically with our service. As a hosting provider Ultra also provides a marketing suite of tools with its hosting plans with Google and Bing marketing credits included with purchase. Additional tools include SEO consultation, auditing, traffic, one-click sitemap, listing, and Google website services. Tired of slow loading website speeds and inconsistent customer service? With Ultra you receive web hosting with speed, reliability, customer service and all the services needed for almost every website! Start your website off right with full-featured hosting at a price that is difficult to beat. We have been in the industry for more than fourteen years and know a thing or two. Unlike most hosting providers, we do not rent our servers from another provider. We load them up and customize the hardware ourselves specifically for web hosting. We also know not everyone is strong in building an HTML website from scratch so we include a free, easy to use online site builder with drag and drop, one-click WordPress installation and so much more. Fast performance, reliable and scalable. Site speed has an impact on rankings, bounce rate and general usage of your website so making sure your website is fast is essential for you. We know the techniques and have the infrastructure and systems to speed up your website. We have optimized over 10,000 websites to date. The Ultra platform supports CloudLinux, LiteSpeed, Apache, Varnish, opcaching, MySQL / MariaDB, HTML5, Ruby, JQuery and provides the flexibility to tailor your PHP environment specifically to your needs. Ultra has a ShopperApproved rating of 5.0 and hundreds of testimonials and awards. Give us a try, we have a 45-day money back guarantee and a risk-free 30 day trial. Have a price from a competitor you would like beat? In most cases we will beat their price and provide superior service. Click any of the live chat icons if you want to learn more, you will be happy you did. Start Building Your Website With a Risk-Free Trial Today! Hosting as Low as $2.95/mo. GET STARTED! Let Us Help Get Your Website Online Today! Put together a great looking professional website via your web browser in no time! Drag and drop website builder. Our migration team is ready to assist you with transferring your site to our service. Transfer entire cPanel accounts or small websites for free.